Angel Beats!. . HD Wallpaper and background images in the Angel Beats! 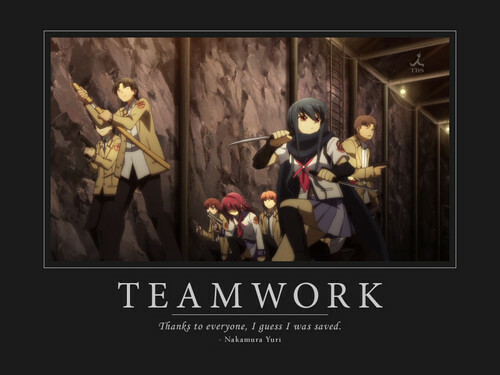 club tagged: angel beats! anime sss demotivational poster motivational poster fanart. This Angel Beats! fan art might contain concert, anime, grappig boek, manga, cartoon, and stripboek.